This week, Indie launched in South Africa – a 100% digital insurer that focuses on creating wealth while offering customised cover – all in under ten minutes. In a world where consumers have instant access to services like Uber, Netflix, Airbnb and a plethora of retail offerings offering instant gratification, it’s not surprising that the current insurance landscape leaves most South Africans frustrated and confused. “Nobody likes to think about their mortality, and many South Africans don’t recognise that they actually need insurance. So when it comes to choosing between spending on something that gives you instant gratification, or insurance… insurance often loses,” says Peter Castleden, Chief Executive Officer at Indie. With Indie Life Insurance, 100% of your monthly premium into placed in an investment that creates future wealth. **Fully covered before you’ve provided medicals or paid your first premium. ***Medical tests only if randomly selected, and we’ll come to you. ****Everyone gets all the new stuff as we release it and, when premiums reduce, everyone benefits. *****Some other providers only accept the best, healthiest lives and turn others away. 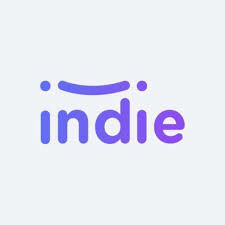 At Indie, everyone qualifies for at least 4 different benefits. ******No broker or call centre needed to make changes to your products and beneficiaries; do it yourself online.